I’m probably one of worst offenders for this. Come 11am, I’m already daydreaming about where I can purchase a ready-made, overpriced panini for lunch. And then the end of the month rolls around, and I’m left completely flabbergasted as to where my wages have evaporated to. Could mice have sneaked into my handbag and nibbled my money away? Nope. If I’m being completely honest with myself, I’m basically pouring a sizeable pile of coins into growing a pudgey, expensive lunchtime belly. This kind of money wasting is scary stuff when looked at over the course of a year. 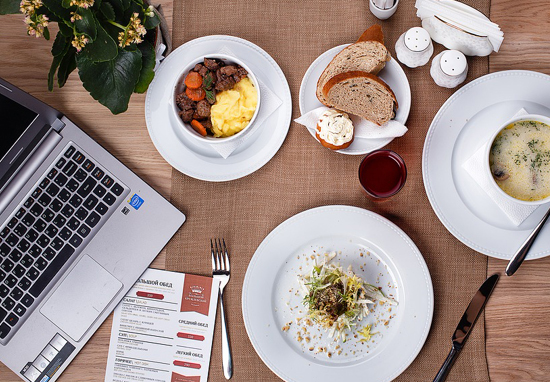 According to new research by Vouchercloud, those who purchase a ready-made lunch during the working week are clocking up an average annual spend of £1,840. This survey – which polled 2,646 UK adults- found our sensible homemade lunch bringing counterparts are keeping it thrifty, with an average annual lunch spend of just £552. If you aren’t already screaming in horror at the remnants of your Boots meal deal, then bear in mind this is a difference of £1,288. My friend, this could have got you a couple of sophisticated European city breaks. You could have put this in some sort of savings account and felt like an adult. You could have bid on ebay for a piece of Justin Timberlake’s half-eaten French toast. Maybe some comfort can be found in that you aren’t alone with your lunchtime decadence. Three-fifths of Brits are buying their lunch, with supermarkets voted as the most popular lunchtime destination (47%), followed closely by the Company café/refectory (42%) and nearby restaurants (35%). So what on earth is wrong with us all? Why are we all just meal-dealing it willy-nilly through our lives like mediocre-sandwich zombies? Participants who purchased their lunch cited three key reasons as to why they shunned the old fashioned lunchbox. The most common reason was ‘tiredness’, with 47% of lunch purchasing scoundrels being just too damn sleepy during the working week. This reason was followed closely by those who argued there was ‘more choice at work’ (41%), and those who were short on time (38%). With increasingly busy lifestyles, it is understandable to see why people are choosing convenience over economy. It’s very easy to slip into a routine of popping to the shop to grab a sandwich rather than planning your weekly or monthly shops to incorporate the components of a homemade lunch, then taking the time to prepare it on top. Obviously, there will be times where making your own lunch is just not feasible or even possible, however, when presented with these findings, I think those opting for convenience will be alarmed. With average annual savings close to £1,300, it seems bonkers not to try and get into a routine of making your own, even if this is just a few days a week. Think of what the surplus could be spent on instead! It could even equate to an extra holiday! So basically, put that lunch money in the piggy bank and you could be getting yourself a slap up Michelin-star meal on your break this time next year.